The spring action in the shears increases torque without straining your hands. 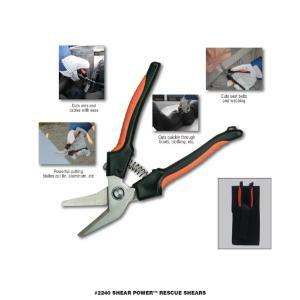 It can easily cut though wire, cable, leather, webbing, etc. Shear Power™ has thumb operated lock to ensure that the blades are not exposed, and that the handles lock for safety when stored or when not in use. Weight 4 oz.